In case you missed it, we are giving away 10 samplers of the upcoming Para Jabon from La Aurora. Tony made a post about it earlier this week and the deadline is closing quickly. Read the post here and make sure to post a comment to get an entry, it’s that easy! If you want an extra entry, just post a comment here! 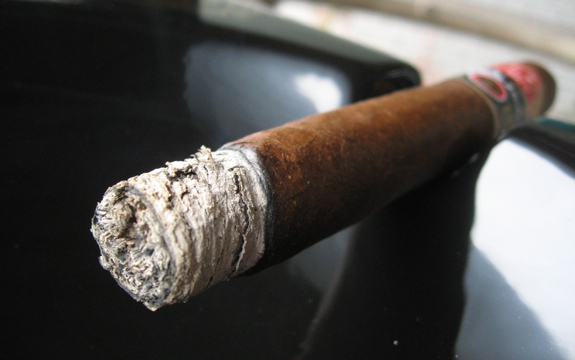 So let’s get something out of the way for some people who may not be as educated in the various brands of cigars. This “Partagas” is not the same as the Cuban Partagas. 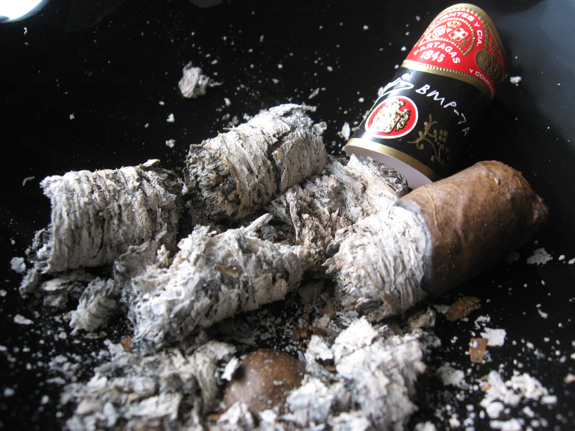 With the Cuban embargo in place some companies took advantage of the chance to capitalize on a well known cigar brand such as Partagas. You can also see similar non-cuban manufactures producing Montecristo, Romeo y Julieta and many others. As much as some people may not like this, it’s hard to argue that it was a very smart business decision! No marketing expenses required and you already have a product with a well known name. 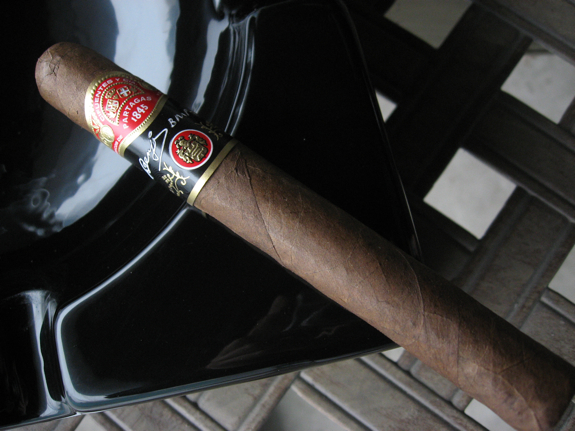 There is a lot more to this story, including the fact that one of the executives worked at the original Partagas factory in Cuba, and this is just a brief overview but now you get the idea. As for my selection today, it is produced by the General Cigar Company who has other well names under it’s belt such as Cohiba, Macanudo and Punch. The Partagas Benji Menendez Master Series is obviously something special and unique, not just part of the normal large production line. This cigar was blended specially by Benji Menendez himself who is the Senior Vice President of the General Cigar Company. The Partagas Benji Menendez Master Series was released in limited quantities of 5000 boxes. There is actual a small website devoted to the Partagas Benji Menendez Master Series cigar made by General Cigar Co which you can find here. The site was used to promote a tour he did in 2009 when the cigar was originally released. 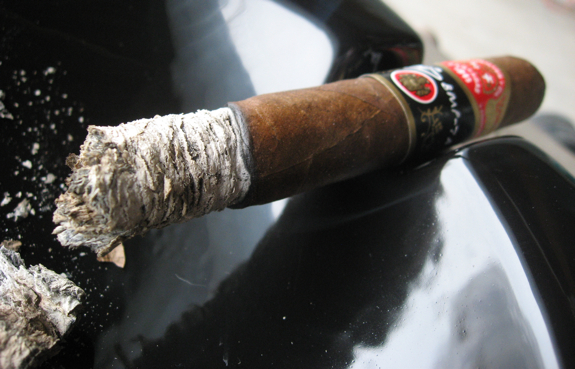 But enough banter about the cigar and it’s story, let’s find out how it fares in today’s review. This cigar is an interesting one to make judgement on. The flavors here were not amazing but I can see their appeal to some people as a cigar to sit back and relax with. The burn and ash were both excellent so I can’t knock any points off here. I think this is one of those cigars that is VERY dependant on your personal palate. I know that is a factor in all cigars but some have general characteristics that are the same to a lot of people, this one seems to fly somewhere between the radar. Where this cigar lost it’s points in my opinion was on the price. 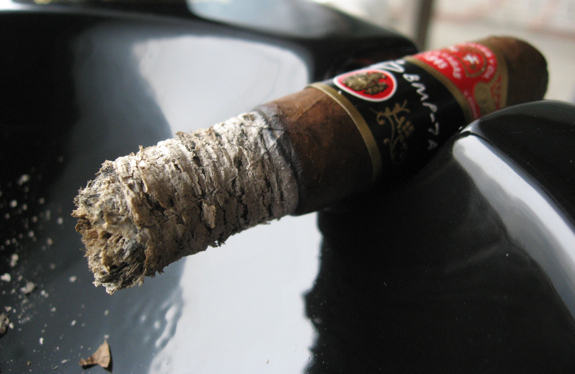 For $9 I don’t want a cigar to just relax with and have an easy straightforward experience. For $9 I want something that challenges my palate, offers dimensions, complexity and keeps me on my toes. I don’t feel this cigar did that for me unfortunately. 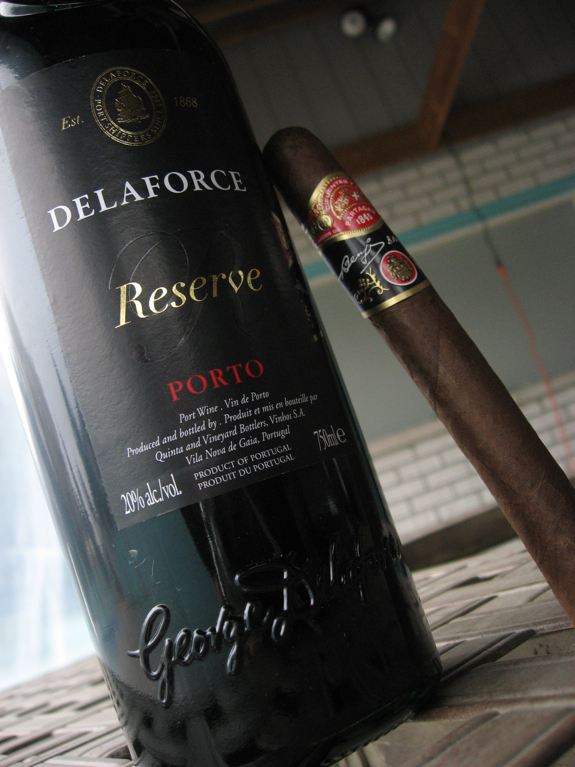 I really enjoyed the heck out of my last bottle of Delaforce LBV Porto. 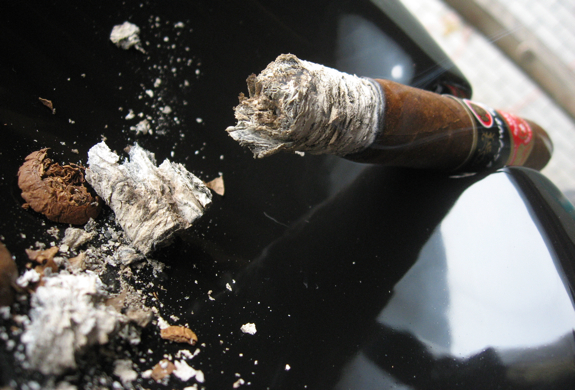 See my previous review of the Perdomo Grand Cru. When I went back to the store I picked up another bottle of the LBV and sitting beside it I saw the Delaforce Reserve Porto. So since the last one was good I decided to give this one a chance. The price was the same and the flavors are still just as good. Lots of dark berries and bold red wine undertone. I found the Reserve to have a little more oak flavor to it but other than that was very similar to the LBV. For the cheap price of only $17 in the over-priced alcohol market of Ontario, this bottle is a steal and pairs amazingly well with a lot of cigars. 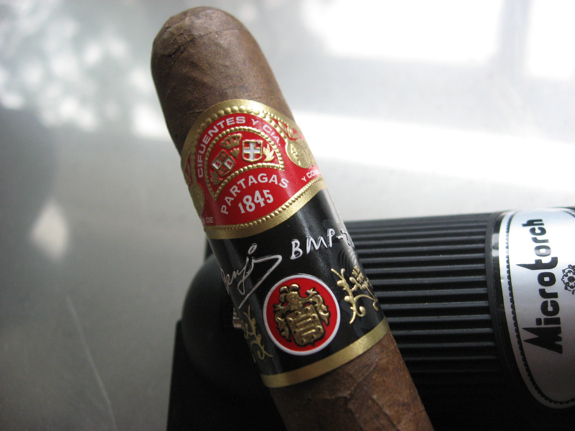 I think this Partagas Benji Menendez Master Series would also pair well with coffee or maybe a lighter bodied scotch. Seems like a nice cigar. Thanks for the review. Thanks for the review. I smoked a couple of these when they were first released. A decent smoke, but a little pricey. Sounds good.And that bottle of port looks nice too.Being of portuguese decent I have a fondness for ports. I really like the Benji, but as you mentioned- price is a big consideration. I think the ones I found were over $10, and there are many other $10 sticks I’d rather smoke. But I would like to find a few of these and sock them away for a once-in-a-long-while smoke. Maybe this cigar will keep me on my toes. Send ’em on over! Geez this is the most replies to one of Daniel’s reviews I have ever seen….. Must be a contest around….. lol….For that pricepoint I agree I want something to really makes me situp and pay attention. I don’t need another muted cigar… maybe for 5 or so…..
@blane So far all of Delaforce’s Tawny Ports have been great, definitely recommend picking one up. @Tadd Always the local comedian! Just admit you love me and my reviews, no one will judge you. I promise! haha I’m not even sure I would pay $5 for this when great smokes like the La Traviata or La Aurora 107 are close to that range. Hmmm. I paid $19 for one at a local smoke shop. The owner said it was a very limited run, hence the high price.